The Wisconsin Badgers had little trouble with the Illinois Fighting Illini crushing them 48-3. As one would expect, the team had a solid outing with both sides of the ball turning in strong performance on homecoming. 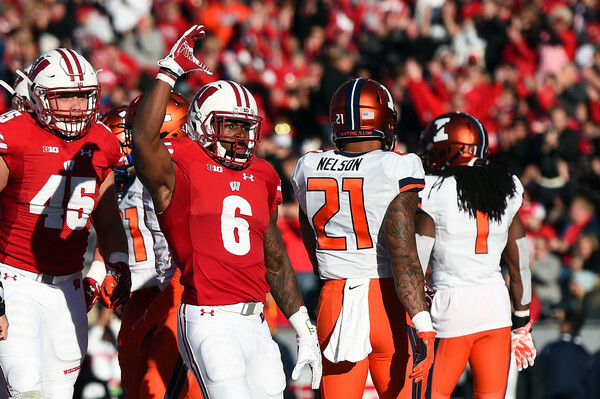 We will take a look at the Badgers performance against Illinois with some thoughts below. 1. The offense was highly efficient – One of the big issues for the Badgers on offense this year was their inefficiency inside the red zone. In particular, they have struggled to score touchdowns converting just 18 of 33 red zone opportunities into touchdowns coming into the game. Against Illinois they were way above their season average of 54.5% going 4 for 5 in the first half alone (the other one was a made field goal). For the game, the Badgers went 8 for 8 in the red zone with 6 touchdowns and 2 field goals. To be fair, Illinois was overmatched against the Badgers, but the offense has struggled to punch the ball in for scores this year and this should give them confidence. Let’s see how the offense does against another overmatched team in Purdue next week. 2. The defense was ballhawking – The Badgers defense forced four interceptions versus the Illini with all occurring in the first half. That was impressive considering the Illini had 3 interceptions for the entire season entering the game. 2 of the 4 interceptions were turned into touchdowns while another was converted into a field goal giving even more confidence to the team. Leo Musso had two interceptions (including one on an incredible kick tip from Sojourn Shelton with video of the play below) while Ryan Connelly and D’Cota Dixon had the other interceptions. 3. 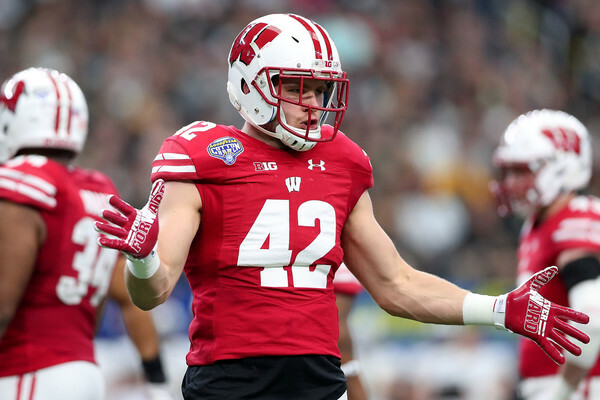 The defense was overwhelming – In addition to forcing four turnovers the Badgers defense was suffocating. They held Illinois to just 200 yards of total offense and did not allow a third down conversion (Illinois went 0 for 9). The Illini could not get anything going, which was not surprising given how excellent the Badgers are on defense. This game was over early in large part to the defense’s strong performance. If we are being extremely picky, the Badgers secondary had a few instances where the Illini receivers got by them. That might be an area of concern against more talented teams. 4. The rushing attack continues to spur the offense – The Badgers were averaging 204 yards per game over the previous 4 contests coming into this game, as noted last week. Wisconsin finished the game with 363 yards on 64 carries for 5.7 yards per rush. The first 5 weeks of the season saw the Badgers put up 161.6 yards rushing per game while the last 5 games have seen an average of 235.8 rushing yards per game. Corey Clement went for 123 yards and 3 touchdowns on 25 carries while Dare Ogunbowale had 103 yards on 7 carries. Bradrick Shaw saw quite a bit of playing time as the game was out of hand and finished with 80 yards and a touchdown on 19 carries. The passing game only produced 92 yards, but when the offensive line and running backs are producing nearly 6 yards a carry, there is zero reason to put the ball in the air. Reproducing this game against Purdue and Minnesota will put them in the Big Ten Championship Game. Wisconsin has pushed their record to 8-2 overall and 5-2 in the Big Ten. The play on the road at Purdue next week and then at home against Minnesota in two weeks. If the Badgers win both games, they will play in the Big Ten Championship. Below are previous columns providing thoughts on each Wisconsin game this season.